Sort of like the radio show. Only with better grammar. Back in 1991 began what became a regular early January writing staple: the newspaper garden column dedicated to "Garden Resolutions". In the years since, it's eye opening to see what has changed...and what is still the same… for backyard gardeners. • Use less water. 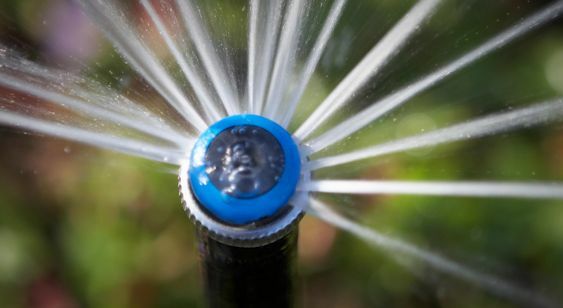 Turn off your lawn's automatic sprinklers during the winter. 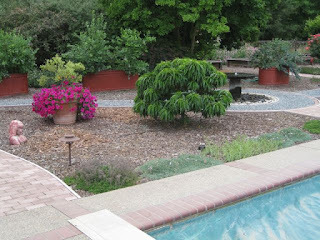 Install drip irrigation or micro sprayers around outdoor trees and shrubs. Don't let sprinkler water run off the grass. • Consider alternatives before spraying potentially dangerous chemicals. To get rid of aphids, a blast of water to the backs of leaves may work as well as applying malathion or diazinon (remember that?). Insecticidal soap can control a host of bad bugs (such as aphids, whiteflies and spider mites) without overly harming the good ones (ladybugs, praying mantids and honey bees). • Use a separate sprayer, either hose-end or tank sprayer, for different tasks. Use one sprayer for herbicides (such as Roundup or any weed killers); use another sprayer for insecticides and fungicides. Gardeners can lose prized plants because they didn't rinse out an herbicide thoroughly from a sprayer before using the same unit for insect or disease control. • Read all chemical label instructions carefully. Don't apply more of a chemical than what is called for on the label. Not only is it wasteful, but also it's more dangerous for the person applying it as well as the environment. • And don't plant so much zucchini. Now, the emphasis is still on water conservation. But the disappearance of many dangerous, non-selective garden chemicals (especially diazinon) has opened the door for other chemicals that may or may not be all they claim. Clouding that issue even further: the marketing of those products as "natural" or "safe" can mislead backyard gardeners into using something that is neither safe or “natural.” The word, “natural” by the way, has no legal standing. It does not mean “organic.” Add to that all the misinformation that is now available on the Internet, and it's no wonder gardeners are confused. • The key to plant success? The right plant in the right place. • Get a soil test done before planting. • Reduce the size of your lawn. • Plant more edible ornamentals. • Put in plants that attract pollinators and beneficial insects (birds, too). • Check soil moisture before watering. • Use drip irrigation, micro sprayers or soaker hoses instead of overhead sprinklers, where it is applicable. • Searching for reliable garden information online? Don't forget to add ".edu" into the search box at Google, Yahoo or Bing to bring up university research first. California gardeners should add the letters, “UC”, for University of California-based garden info. • Be wary of advice on the gardening forums on the Internet. All gardening is local. What worked for a gardener back East may not work for you. Double-check your information with your local nursery person. • Trying to control garden pests? Start with the least toxic alternative. • Read and follow all garden chemical label directions. Don't assume that if the chemical label says it works on Plant A, that it will also work on Plant B. Target pests and plant species will be listed on the label. • After you have used something from the garden, use it again. Make your own compost from kitchen scraps and leaves. 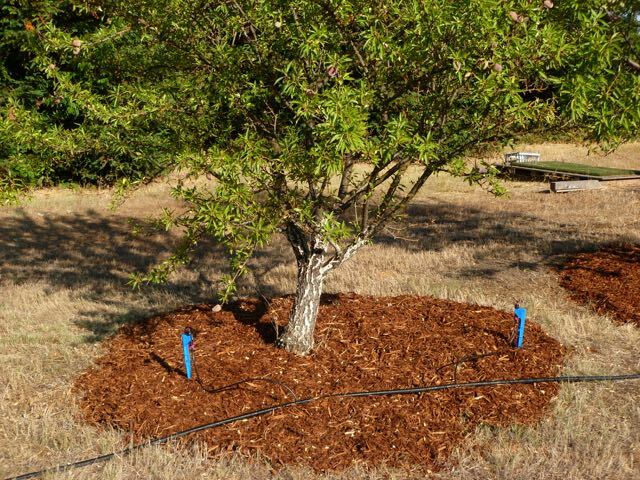 Make your mulch from shredded and chipped tree limbs from your own property. 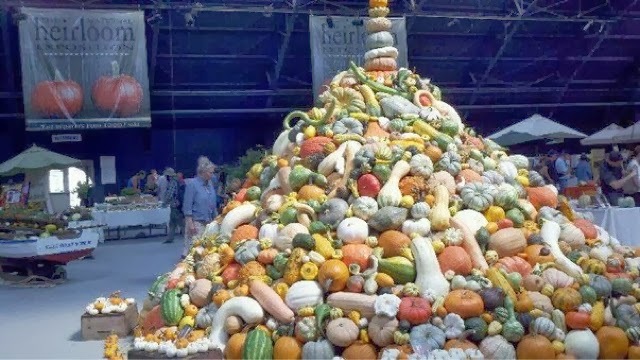 • And don't plant so much squash this year (some things never change). Inline drip emitter tubing is the best! Ant Control Products that Work! Grow More with a Greenhouse! 6'x8' Greenhouse, Twin Wall. On sale! Seed Propagation Kits on Sale Now! Fred Hoffman is the producer/host of the "KFBK Garden Show" on KFBK-Sacramento (1530-AM and 92.5-FM) each Sunday morning from 8:30 a.m. to 10 a.m., followed by "Get Growing" on Talk 650 KSTE, 10 a.m. to Noon. Outside Northern California? Listen to the shows, live, via the KFBK.com and KSTE.com websites or as podcasts from those websites. Pepper Seeds Won't Germinate? Some Tips. Drip Irrigation: How Long Do I Water? Avocado Trees in Sacramento? Good Luck. How Much Cold Can Your Citrus Trees Handle? ©2010 Fred Hoffman. Watermark theme. Powered by Blogger.